Griffin (coach's decision) is inactive for Sunday's season-opening tilt against the Bills. 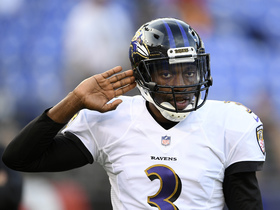 Analysis: The veteran will give way to first-round pick Lamar Jackson as Joe Flacco's backup to start the season. 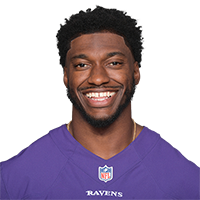 Griffin may frequently be subject to inactive status as long as both Flacco and Jackson are healthy, considering the former's solid grip on the starting job to open the season and the team's desire to develop the latter as much as possible during his rookie campaign. 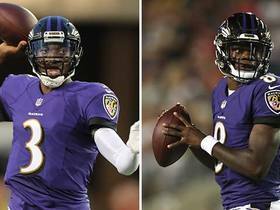 Ravens head coach John Harbaugh has yet to reveal whether Griffin or Lamar Jackson is the primary backup to starting quarterback Joe Flacco, Jamison Hensley of ESPN.com reports. 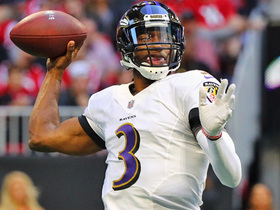 Analysis: Given that they haven't carried three quarterbacks into Week 1 since 2009, the Ravens' decision to do so this season seems like a strong hint they don't think Jackson is ready to play. Of course, the team does list the rookie first-round pick in the second spot on the depth chart, nestled between Flacco and Griffin. The Ravens should provide more clarity on the matter when they release their inactive list about 90 minutes prior to their Week 1 matchup with the Bills. 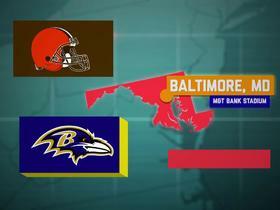 Griffin will start the year as Baltimore's No. 2 quarterback, Tom Pelissero of NFL.com reports. 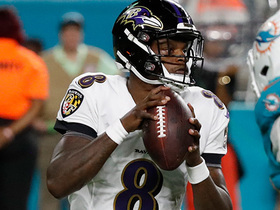 Analysis: Lamar Jackson accounted for six touchdowns during the preseason, but he completed just 50 percent of his passes for 6.0 yards per attempt. 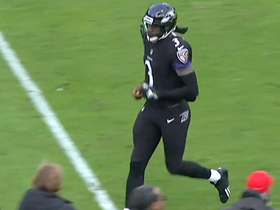 The Ravens reportedly will turn to Griffin if Joe Flacco suffers an injury early in the season, though it won't come as any surprise if Jackson ultimately climbs higher on the depth chart. 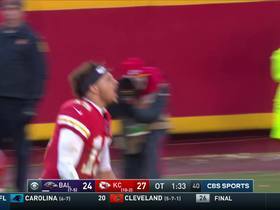 Griffin earned a spot on Baltimore's initial 53-man roster, Tom Pelissero of NFL.com reports. Analysis: Coach John Harbaugh typically only carries two quarterbacks, but Griffin carved out a third spot with his solid performance this preseason. 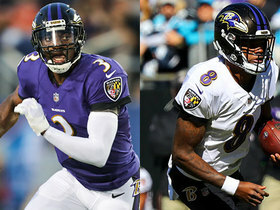 It isn't quite clear if the Ravens would turn to Griffin or Lamar Jackson in the event of a Joe Flacco injury/benching. 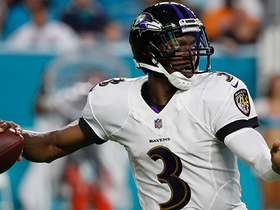 Griffin completed nine of 15 passes for 66 yards with no touchdowns or interceptions and added 41 yards on five rushes in the Ravens' 27-10 preseason win over the Dolphins on Saturday. Griffin's one-year contract with the Ravens has a $1 million non-guaranteed base salary and a $100,000 signing bonus, Jamison Hensley of ESPN.com reports. 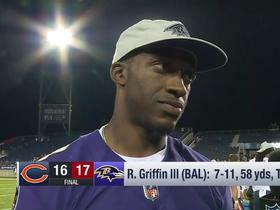 Griffin signed a one-year contract with the Ravens on Wednesday.